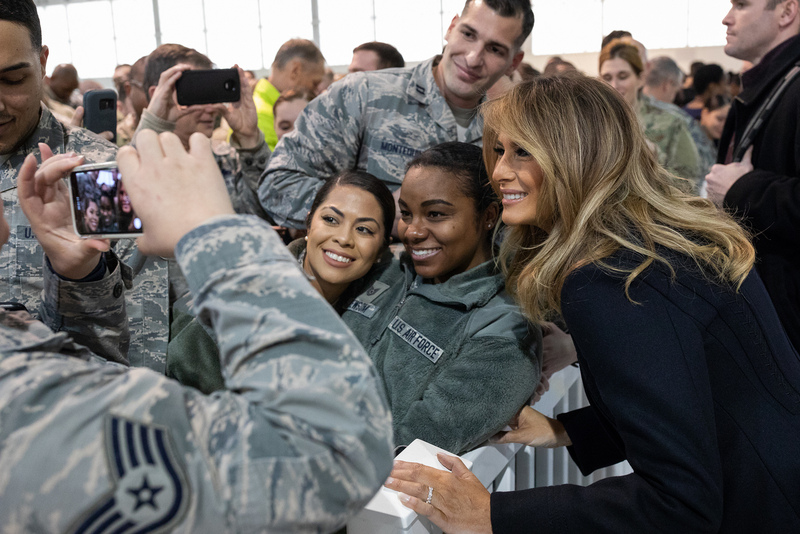 First Lady Melania Trump visited U.S. military personnel at two military bases and aboard an aircraft carrier ahead of the Christmas holiday. 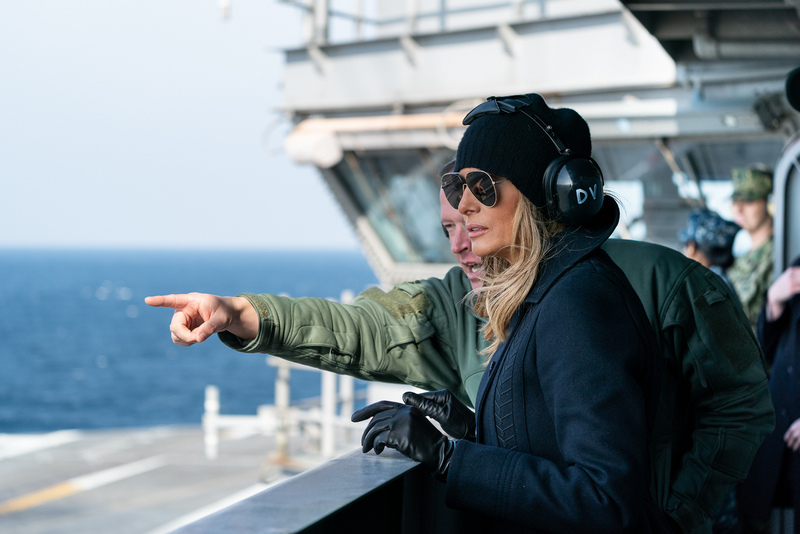 On Wednesday, the First Lady met with troops and delivered brief speeches at Joint Base Langley–Eustis and Joint Base Anacostia-Bolling, and afterward took a tour aboard the USS George H.W. Bush carrier, Newsweek reported. Melania’s trip is also a historic moment, as she is the only First Lady ever to fly in a V-22 Osprey, according to CNN. 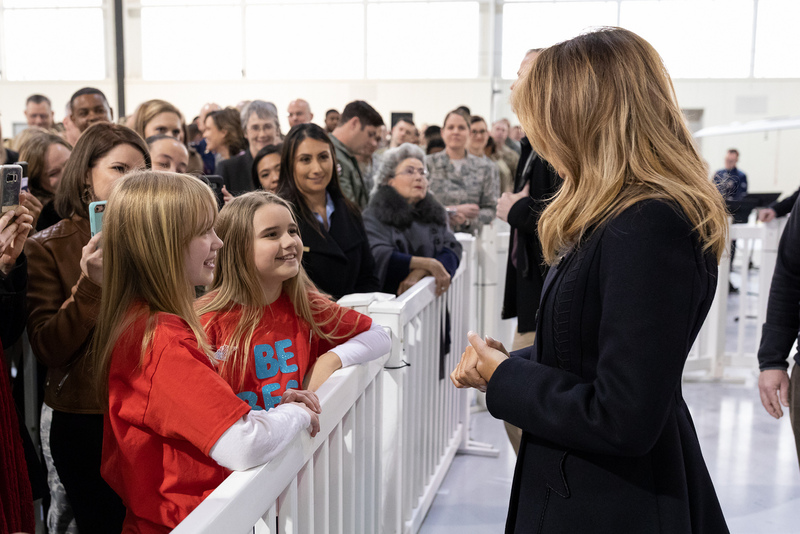 Her first stop was Langley-Eustis, where children from local schools were in attendance, along with military personnel from the 63rd Air Base Wing, 1st Fighter Wing, 192nd Wing and the 7th Transportation Brigade. 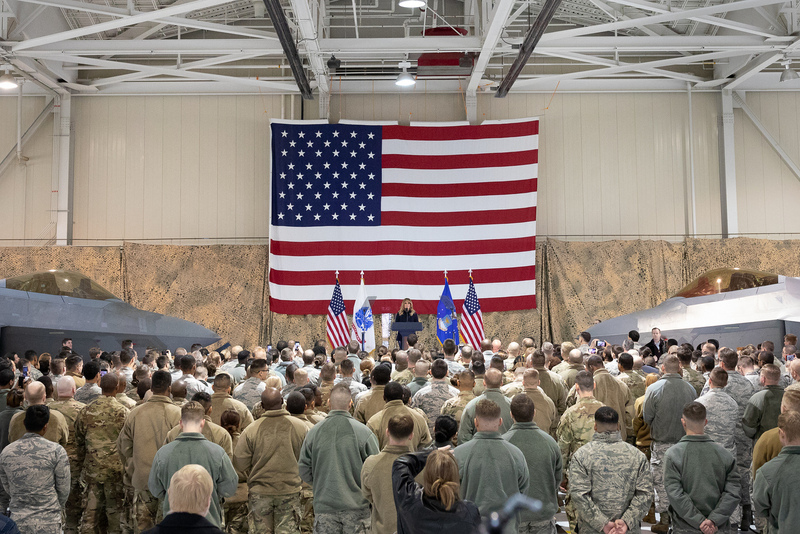 She further expressed gratitude to the military families, acknowledging the struggles they endure while serving the country. “We know that you often endure time apart, which also comes with a degree of uncertainty and some of you are here today while your loved ones are far away,” she said. 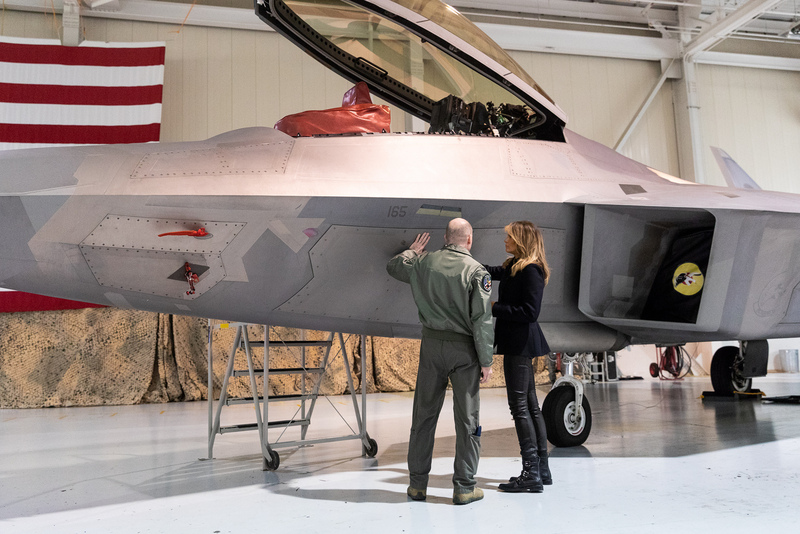 While at the base, she was able to get an up-close look at an F-22 Raptor. 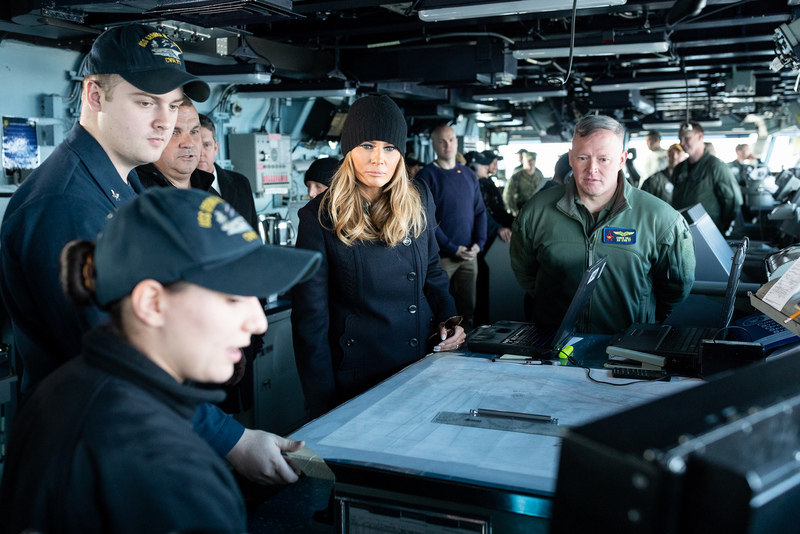 After the base visits, Melania went aboard the USS George H.W. Bush, although the media was not permitted on the tour. “An incredible flight today on a V-22 to visit the service members aboard the USS George H.W. Bush. Thank you to ALL who serve,” she said in an Instagram post after the visit.